Happily ever after? Plus a book giveaway! The ending of all good fairy tales. The ending of all good romance novels. But is being in love enough to live happily ever after? I loved reading Elizabeth’s post last week about how she and her husband fell in love. The wonderful stories in the comments made me smile and feel all warm and mushy, like good love stories should. I met my husband when I was sent to work in a specialised area of the hospital I had little experience in, and didn’t really want experience in. I worked for a telephone nursing service, but to keep our hands-on up to date, we were sent to the wards or clinics occasionally. The clinic he worked in was my last choice on the list my manager asked me to fill in – yet the first place I was sent! We texted each other frequently. I waited and waited for him to ask me out, but it didn’t happen. Maybe I had it wrong and he wasn’t interested in me that way? Thankfully, I’d just moved into a new apartment. I could invite him to my housewarming, without it seeming like a date. Other friends drifted in and out, he was the first to arrive and the last to leave. Three weeks later, I knew I was in love with him, three months later we were engaged, six months after that we married. Was it a happy ever after? Certainly not the one I expected. Our courtship was tempestuous, our marriage has been full of challenges. We couldn’t be more opposite. He’s sooooo English, I’m Australian. I’m emotional and intuitive; he’s on the autistic spectrum, a Mr Spock. I’m impatient, wanting to do things as fast as I can; he needs to take everything slow, sometimes very slow. Our faiths separately hit roadbumps long before we met, but while my path back to God was quicker, he’s still deciding if he wants to step back onto the path at all. We’re both very strong willed. Some days it feels like the only thing we have in common is our address, and that we’re both vegetarians who like cats! But through it all I’ve never lost the sureness he’s the man God wants me with, that my vows really are “Till death do us part.” Okay, I confess, there have been times I got mad with God about that! But He’s worked to convince me a 50/50 marriage isn’t enough. Rather than instant married bliss, we’ve grown into our happy ever after. God is teaching me more and more about surrendering to Him. The changes He’s creating in my heart and mind are making a huge difference to my marriage. Our happily ever after looks very different from the fairy tale version I imagined reading Cinderella or Beauty and the Beast as a child, or Harlequin romances as a teen. Yet it is real, it is happy, and it is ever after. Despite our difficulties, I feel blessed by this relationship. God put us together for a reason. I’m learning patience. I’m learning compassion. I’m learning to let go of needing to be right, and needing to have things my own way. I’m learning what it truly means to be joined in love with another person. I’m learning to embrace the unexpected gifts, the many different ways love can be expressed. Writers often end our romance novels with the proposal, but that’s just the start of things! I’m looking forward as my book series continues to following up some of the couples as secondary characters, through their weddings and beyond. God has a plan and purpose for our lives, and all of us who know Jesus as our Lord will one day experience the ultimate happy ending! But He also wills for us to live joyously now. I’d love for you to share the ways your happily-ever-after has blessed you, both the ways you expected and ways you didn’t expect. What’s the thing that’s made the biggest difference to your happiness in marriage? Or if you’re single, what other ways has God blessed you? Here and now, what does your happy ending look like, in love, or in some other area of your life? One commenter will win the ebook of their choice from my author page. My husband and I met online! Two months later we were engaged and 3 1/2 months later we got married. We had both been married before and both knew what we didn’t want:). We found that the smootchy kind of love isn’t what really gets you through the really hard times in a relationship, but rather a LOT of prayer, faithfulness, grit, and forgiveness before it’s ever asked for…we were married 6 yrs and had gone through 3 miscarriages and 2 live births and thought everything was finally going to be easy when he was hit w a diagnosis that tore us up…thankfully GOD has been gracious and helped us through each day since…nope it’s not 50/50 and at times it really might not be 100/100 Sometimes it’s 150/50 when the other person just doesn’t have the strength, but with God all things are possible! We’ll be celebrating our 17 anniversary soon and still love each other even when it’s hard to like the situations on our plate:). God is truly our only answer to get through! Becky, you are so wise! Yes, it definitely isn’t always 100/100. You two have been through a lot. But with God at the centre, the trials can make a marriage stronger. Prayers for you and your husband. I would love to see more characters beyond the proposal/wedding stage in books. I suppose you find that more in women’s fiction. I’m blessed with a wonderful man in my life. He’s been their for me during the challenging times living with a chronic disease. The difficult times are when you really discover the true meaning of love. I think it is more a women’s fiction thing, Jill, though there are a few lovely romances about married couples weathering trials and renewing their love. So true that only in the challenging times do we really find how deep love is. God has a reason for testing us. 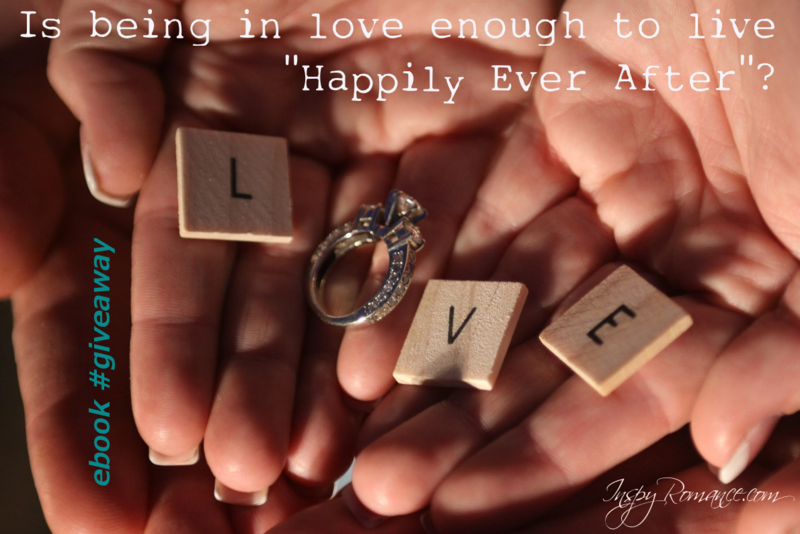 Happily ever after …is more like determined ever after. We have a lot of happy. But we have a lot of gritted teeth and hanging on, too. My husband and I met in Korea as we were both in the Army. After returning to the States we got married and began the adventure of moving every two years all over the world and United States. Three children, 13 moves, and 27 years later, we’ve just entered the empty nest stage in life and I am more in love with my husband than ever. I so appreciate the little things he does – like the dishes after the meal and taking the trash out. Life hasn’t been easy but God is faithful and we look forward to the next 27 years and what being grandparents is all about! Wonderful, Kris! That made me smile. Big challenges really test our love, but the little everyday things make such a difference to how happy we are. Grandparenting sounds fun! I loved reading about you and your husband’s journey–My daughter and her husband met and married within 8 months of meeting. :) This reminds me of them. I knew my husband 7 years before we were married. It happens differently every time, but God knows when our time is. Thanks again for sharing your love story. 7 years, I want to hear your story too! We all have to WORK for our happily-ever-after. It doesn’t just happen. And there are seasons where things fall into place, and other times when it seems we’re expected to put the puzzle together, but all the pieces are upside down. But it is forever. I, like you, meant my vows. There were times when I wanted to walk away. Again, like you, my husband and I are totally different – completely different sides on the personality charts. But God ordained our marriage, and a 3-cord strand is not easily broken. Ooh, yes, Ginger. Complete opposites do make life “interesting”. I’ve wanted to walk, several times. In fact, I’ve gotten as far as getting in my car and driving away, and only God giving me a good hard shove made me come back. But He wants us together, and that’s that! Thanks for the reminder, Katy! Joy truly is so much more important than happiness. Happiness is based on circumstances, joy is a choice to trust God, no matter what the circumstances. Love is a choice. It’s an action, not a mushy feeling. And yes, in 35 years, my husband and I have CHOSEN to love and forgive and carry on more times than I can count. It still happens. But it’s worth it. I definitely agree. I can actually remember the exact day when I chose to let myself fall in love with my husband. Having that reminder that God willed it, and I chose it, makes a big difference. If we believe love is something that “just happens”, not something we choose and work at, we’re far less likely to stick out the tough times. I’m guessing most relationships include a lot of that releasing to God, Margaret, though it’s not always easy to do. Praying blessings on your marriage. Beautiful post, as always, Autumn. I look forward to reading your books that take couples past the starry-eyed stage. I’ve done that with my Lewis Series, and I believe the majority of my readers like catching up with couples I’ve featured in previous books, especially as they “grow” their families. Marriage is never easy no matter what anyone says, but it’s a journey like everything else. You stated it so well, so I won’t try, but rest assured, your words touched me today, as I’m sure they’ll touch many of our readers here at Inspy. I’m off to share your post now. Hugs, and wishing you and your husband many blessings. Thank YOU for blessing us with your posts and with your wonderful books. Hubby and I met on Halloween and were married 8 months later. We have been blessed with 2 daughters, 2 son in laws and 2 grandchildren during our 42 years of marriage. I love it when all 8 of us can get together and celebrate which happened three times in October since we had 3 birthdays to celebrate. There have been ups and downs over the years but we are truly blessed with our family of 8. I am a single mom – never been married – still looking for a happily-ever-after LOL – if that happens, it will truly be a miracle! 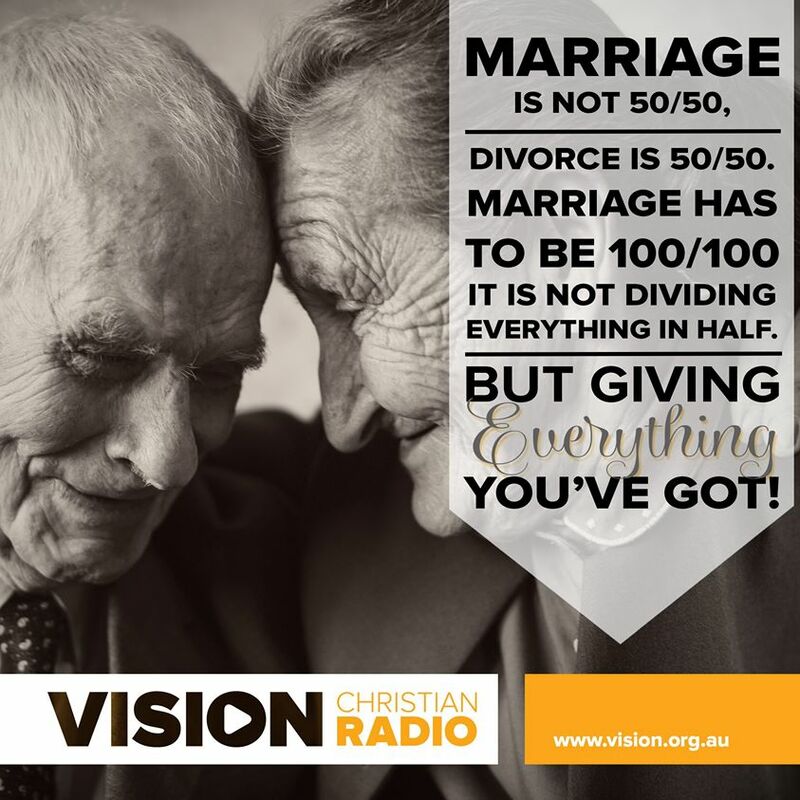 I so agree with the belief that marriage – or any kind of relationship – isn’t 50/50 but 100/100! Praying you get a happy ever after, Felicia. And a joyful life knowing you’re living God’s will, which is the real HEA. How old is your child? I loved reading your love story.I think people reading romance fiction don’t realize that most romance stories are fiction. Marriage takes a lot of work,give and take but overall it is nice to have a partner. True, Linda. I have to admit to having moments when I think life would be so much easier single. It would be, but I’d lose a lot too. Communication is essential. And for sure, Heidi, great point about knowing you’re on the same team, not opponents. That’s something we have issues with, both being strong willed and liking to get our own way. Those rough edges haven’t quite been rubbed off yet! I loved reading your story. You are so right that you must work for your happily ever after. Prior to this past year, I would have gladly shared my story of a second marriage built on God’s love and lessons learned from our previous marriages. But alas, I am no longer married after 18 years of marriage to a military man. My parents are a great example of give and take in marriage. They have been married 55 years. My mother supported my father throughout his military career. My father is now caring for my mother since she has developed Alzheimers and Parkinson’s Disease. My new happily ever after is found through my enjoyment of times spent with my grandchildren, friends, and neighbors. And pivotal to that happiness is my relationship with Christ. Hugs, kda. Military marriages are under so much extra stress. What you have now is very real and solid. My parents too are a wonderful example. They had a tempestuous marriage when they were younger, but now they are older, they’ve never been happier together. Dad has worsening dementia, thankfully the sweetly muddled type so far, but is physically well; Mum has quite disabling physical health issues, but no memory issues. Together, they make a great team! Hi Autumn, First i have to say I love your name. I thought everything would be great when my husband and I first got married but life doesn’t prepare you for job losses, babies , butting heads and the many challenges of putting God first which helps keep me straight. I can’t imagine being without him though so I will just continue to take one day at a time. Hugs, Jenny! Isn’t that the truth! God is good and He will bring us through. A very smart woman in my life shared about her marriage and how love changes (and grows) the longer you are to someone. I hadn’t even met my husband at that point, but I still remember her words. I guess that helped me to realize that the giddy love you first have isn’t the richest. The richest love comes from years of working together day in and day out, through every heartache and joy. My husband and I have only been married twenty years, but like many others commenting, we have seen and been through a lot. I was raised by a single, and highly independent mom who saw the easy way out of a marriage twice and I could have easily let her choices guide mine. Instead, I made a commitment to my husband and myself that divorce would NEVER be on the table or even uttered. Sometimes I feel like that commitment alone is what saved us during some dark times. That and, of course, the covering and strength we received from the Lord. But you’re so right, it gets richer and deeper over time, whenever we are tested and choose to keep honouring our commitment, with God’s help. I did grin at the “only twenty years”! No only about it! Smiling, Trixi. Wonderful comment :) Yes, marriage can keep getting better and better. I know for me sometimes, it’s way too easy to get mad and forget to turn to God, but He is always there and ready to help.